The WA Camera Club accepts entries into the projected images sections 10 days in advance of the competition night. Entries will be judged by the judge before the competition night. Members may submit only one entry into each section. - Portrait oriented shots: 768 pixels high x WIM. 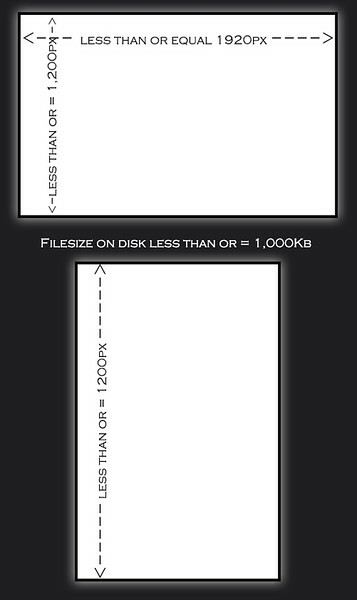 - Maximum filesize is around 500Kb. - Naming of digital entries is standardised to the format of Section (Set, Open or Altered), Image Title and Author’s Name separated by underscores. PLEASE DO NOT INCLUDE SPECIAL (NON-ALPHABETIC) CHARACTERS!! - We are producing artworks - please do not include your name, website, copyright or other text on your image. The upload pages should give you instructions about how to drag and drop your images into each section's gallery. You will not be able to view your image once it is submitted, as the gallery is locked for viewing by anyone other than the judge with the correct password. NO PROJECTED OPEN SECTION FOR FEBRUARY, APRIL, JUNE, AUGUST OR OCTOBER.